Rio Sagrado with the Andean mountains as a backdrop. Photo courtesy of Rio Sagrado. 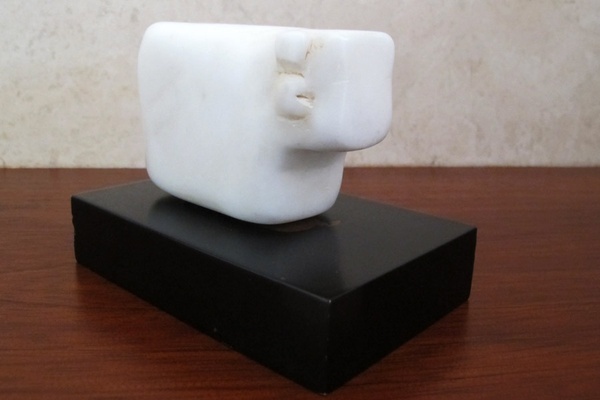 Mountain views, llamas, and a marble bull sculpture she loved so much she brought it home. Machu Picchu didn't stand a chance once Popupla contributor discovered Rio Sagrado. CUSCO, Peru – Machu Picchu was never on my bucket list, although after climbing Kilimanjaro everybody assumed it would be. That said, when I had an opportunity to go on an Orient Express (now ) trip a couple years ago, I didn't think twice. Who turns down Orient Express? But when I look back on the top highlights of that trip, which included stops in Lima, Ollantaytambo, and Cusco, the 15th-century Inca site, while undoubtedly cool and interesting, was not among the top. 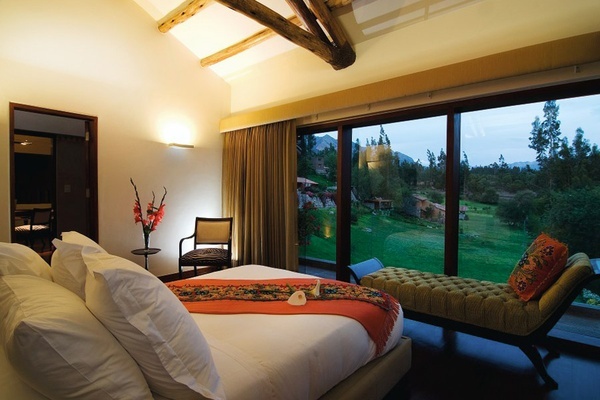 But my night at , a hidden hotel on the Urubamba River in the Sacred Valley that's built to resemble an Andean village, definitely was. Part of it was the element of surprise. 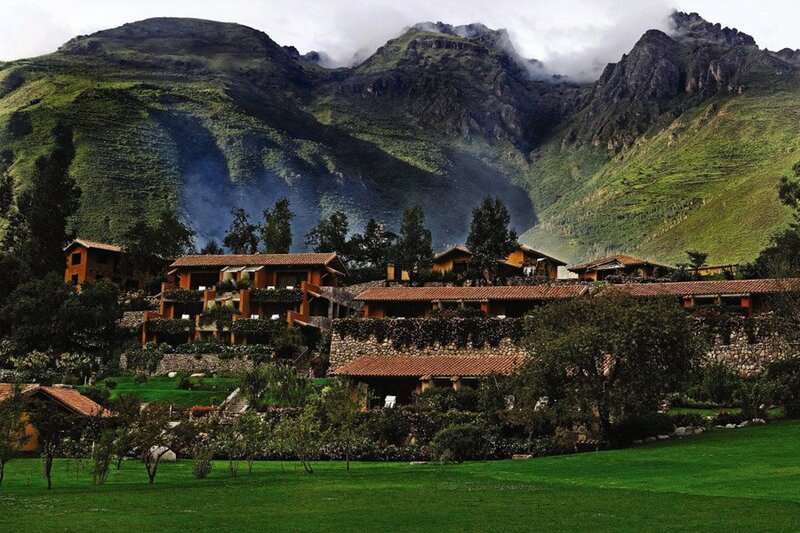 Our car crossed railroad tracks and took us down a dirt road, through a gate, down a gravel drive, and boom: There was the resort, spread out below us, with low-lying buildings terraced into a hill facing the Andean mountains. 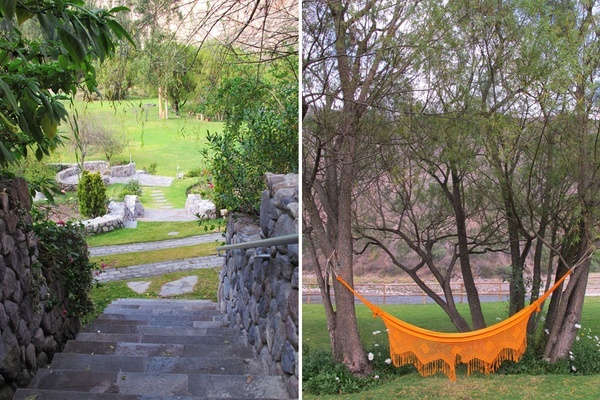 While it seemingly sits in a valley, Rio Sagrado is still at high altitude — 9,000 feet — and I felt every single bit of it walking up and down the stairs that connect rooms with the restaurant and pool areas. 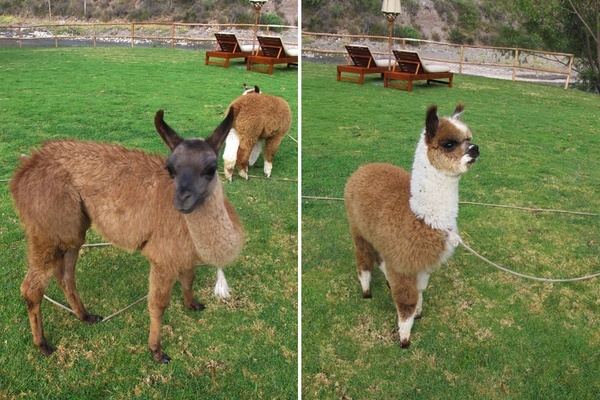 About that room: I had views of the expansive lawn and two llamas that would sometimes graze on it, the mountains, and the river. It rained most of the time, so there was no lounging by the pool. But it didn't matter. The mix of contemporary furnishings with just enough Peruvian touches to give a sense of place (without screaming PERU) was very well done, making for a lovely in-room experience. Other interesting touches: slumped glass bath accessories (a la Higgins glass), a shower with a view, and an awesome modern marble bull sculpture on my bedside table. I convinced the manager to sell it to me, and it now lives on my desk in New York City. After check-out and before we caught the Orient Express train to Macchu Picchu (a two-hour ride with white tablecloth lunch service), we made two touristy but cool stops. We also stopped at the , which houses the Fortress of Ollantaytambo, a huge stone structure with sixteen levels of terraces to climb. Quite the workout.